We want to build a global software business in the transport management space so we are interested in hearing from energetic, smart, highly motivated, creative individuals wanting to join our team. We’re looking for excellent communication skills, someone who can relate, relax and engage with people. You are confident, personable, genuine, social and tech-savvy. Our clients are genuine, hard-working and often family-run businesses, they will respond well to you. Your role is critical, you are the person who establishes our relationship with them. We are looking for 5+ years of experience with PHP, MySQL and jQuery, AJAX, and any JS libraries would really add value. You will have excellent problem solving skills and love a challenge. You will love exploring new tech and sharing it with others. We are an Agile development team, we don’t do Pair Programming but we do practise Scrum, and our Sprint lengths are short (usually one week). We are still evolving as a team so get in early and join the madness. We’re looking for excellence in understanding how people interact with software. You will have a proven track record of developing intuitive interfaces. You will completely understand what turns the user experience into a happy one. 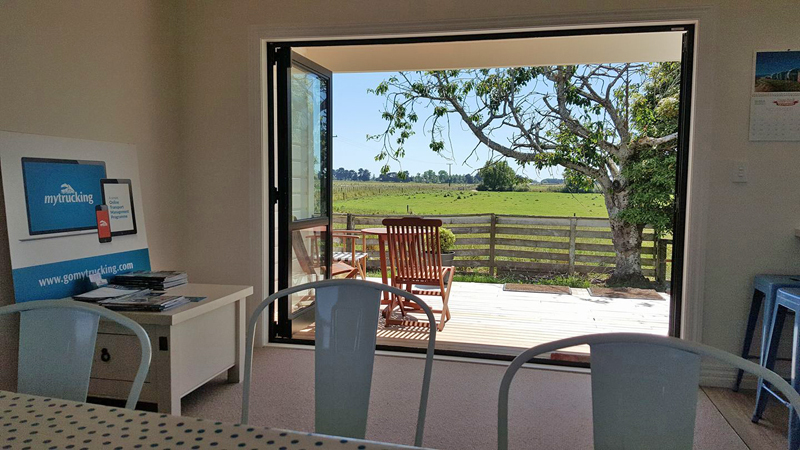 MyTrucking HQ is located on a rural property 8km to the north-east of Carterton, we work in a recently renovated farm cottage, with un-interupted views from every window. We are big on performing due-diligence, so reference checking is essential. Send us your resume and provide plenty of references.